From the Desk of Former Vivisector Lawrence Hansen, M.D. Former viviector Lawrence Hansen, M.D. pleads for donations to end taxpayer-funded experimens on dogs. 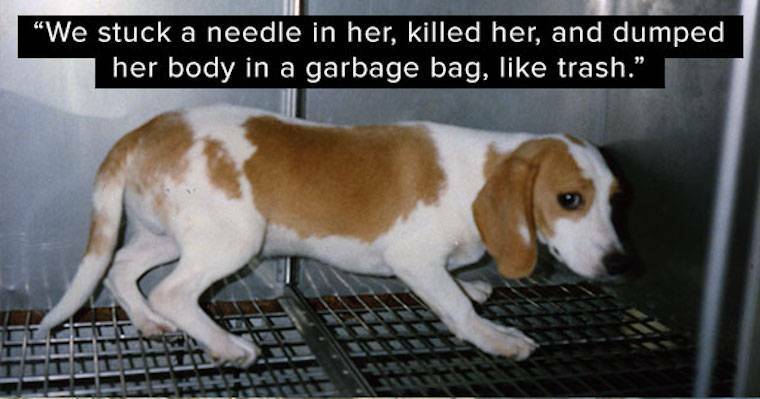 "I didn't have the character to stand up for these dogs when I abused them in medical school. It's an ethical failing I cannot undo.... after 40 years of practicing medicine, I'm determined to speak up now!" I'm a medical doctor, a board-certified pathologist, and a tenured professor at the University of California. I'm ranked as one of the top 100 Alzheimer's disease researchers worldwide with over 160 publications in the last 30 years. I've also participated in taxpayer-funded dog experiments. As a medical student, I was instructed to forcibly restrain, cut apart, and kill friendly dogs, including a Golden Retriever and a black Labrador Retriever. The Golden was the "lucky" one. We only cut her open, observed some basic physiologic functions, and killed her. Week after week, we performed inept and painful procedures on her (bungled mutilations, really)—over and over and over again. Then we stuck a needle in her, killed her, and dumped her body in a garbage bag, like trash. Well, these sweet puppies aren't trash. And I didn't have the strength of character to stand up to my professors back then. But after 40 years of practicing medicine, I'm determined to speak up now! I'm getting behind White Coat Waste Project because it's leading the fight to cut the root of this problem: wasteful government spending. I'm also sounding the alarm because the HEAVY HAND of government is about to ram through a new round of maximum pain dog experiments. The Dept. of Veterans Affairs restrains puppies, drills into their skulls, and destroys their brains. Some are only 6-months old. Others are denied anesthesia and pain relief. Let's be clear about something: these are the most painful dog labs in the entire federal government. Let's be clear about something else: this isn't just wasteful... it's wrong! It's a shameful betrayal of a 10,000 year-old bond. These puppies were purposefully bred to love and trust the very same government bureaucrats who torture them to advance their careers. But unlike the government's animal abusers, our campaign isn't funded with $15 billion in tax handouts. That's why I'm getting behind White Coat Waste and asking for your donation. I didn't have the character to stand up for these dogs when I abused them in medical school. It's an ethical failing I cannot undo.